PACIFICO Yokohama is one of the largest convention complexes in the world, equipped with all the functions required for any type of convention, such as meetings, incentive conventions, exhibitions and events. Our beautiful exterior, designed to bring to mind ocean waves, wind, and sunlight, has become the new symbol of the historic and cosmopolitan city of Yokohama. All of its world-class facilities expand the possibilities for conventions. The convenient location and the superb surroundings of water and greenery create a pleasurable environment for conventions with a total support system provided by the most up-to-date facilities and experienced staff. 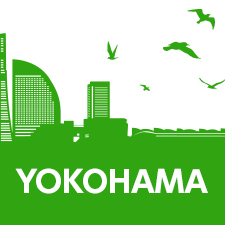 Yokohama is in an advantageous location with easy access from cities in Japan and around the world. Its rich environment is highly acclaimed, and its concentration of attractive sightseeing places and excellent accommodation facilities makes it all the more outstanding in its convenience. PACIFICO Yokohama is modeled on the concept of “ALL IN ONE” and it has been designed as a flexible structure. With its facilities and equipment incorporating the most advanced technology, it provides a complete support system. Its attractiveness as a comprehensive convention center is attested to by the large number of successful conventions hosted to date. A number of conventions have been held in PACIFICO Yokohama since its opening. The accumulated knowhow of the experienced staff has made the conventions successful. In the spirit of hospitality and high-quality service, InterContinental Yokohama Grand provides a variety of catering options to meet your needs, such as box lunch catering, coffee breaks service, and party catering. From free high-speed Wi-Fi to a business center and other practical conveniences, visitors will be welcomed and provided with full-support service. In the PACIFICO Yokohama area you will find over 200 restaurants. Traditional Japanese cuisine, Chinese and Western food, restaurants: choose where to charge your battery. 2019/02/20The stained glass is open to the public. Copyright © PACIFICO Yokohama. All rights reserved.